Aaah February, my birthday month! 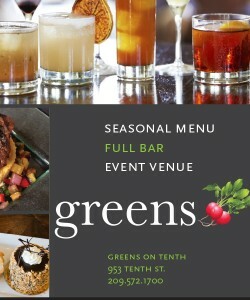 Yes, throughout the month you will see me celebrating at numerous local hot spots! I do share this month with past President’s B’days, St. Valentine’s Day and Mardi Gras! How perfect is that? The biggest party of all is held annually at Tresetti’s on 11th St. in downtown Modesto. This year the celebration is going old school, out of the street and back inside the walls of Tresetti’s. 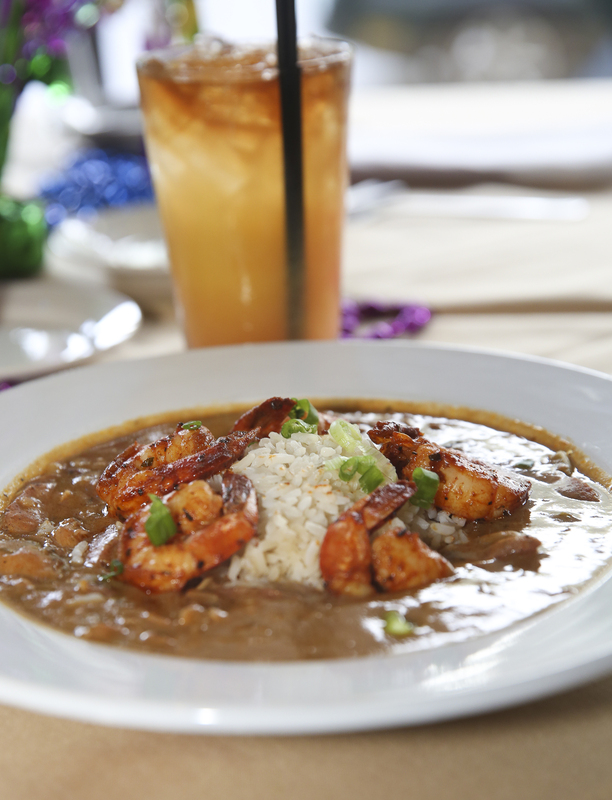 On Saturday Feb, 25th Tresetti’s will be hosting a traditional New Orleans Style Buffet with all the southern Louisiana fixin’s: Gumbo with andouille sausage & chicken, red beans and rice, jambalaya, andouille sausages, jalapeno corn bread, & corn maque choux! Corn what? Pronounced “mock shoe” is a Louisiana staple similar to succotash. Tickets must be purchased in advance! Tickets must be picked up in person, no exceptions. No doubt this carnival cuisine event will sell out quickly at $20 per ticket! You get the buffet and Mardi Gras beads! Cool old school price, too! Plus there will be drink specials! 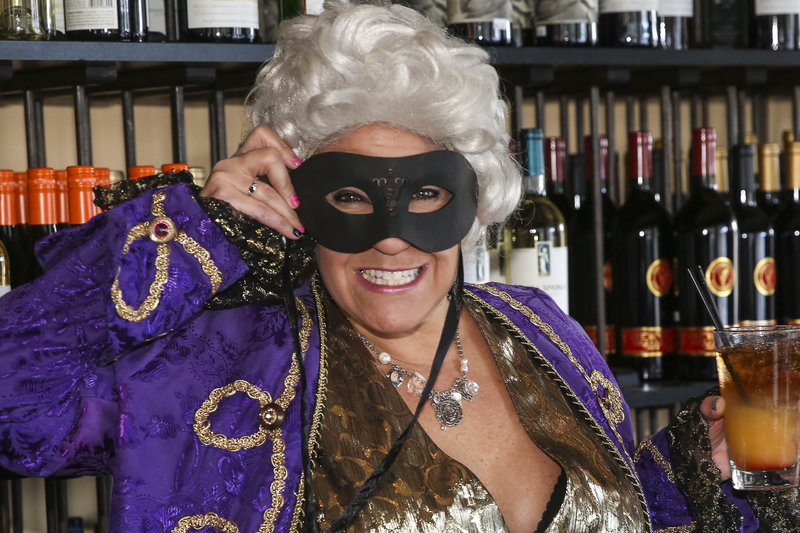 On Tuesday Feb. 28th, aka Fat Tuesday Tresetti’s will be hosting a low-key celebration worthy of a night out as well! Tammy and Mitch Maisetti opened Tresetti’s back in 1994, 23 years and still a Modesto favorite. It was heartbreaking news for so many in February 2014 when Mitch passed away. Mitch and wife Tammy would have been married 30 years. They had 3 children, Jeremiah who also sadly passed away in August 2004, Jordan who is 26 and actively running the family business with his Mom, and Jaxon who is 21 and also works at Tresetti’s. Though this family has had too much sorrow, it is inspirational how the family remains close while still committed to their employees, the community, and their long time patrons in this fine establishment. They continue to donate to local elementary school fundraisers, Justice For Families, CA Women’s Music Festival, and more. 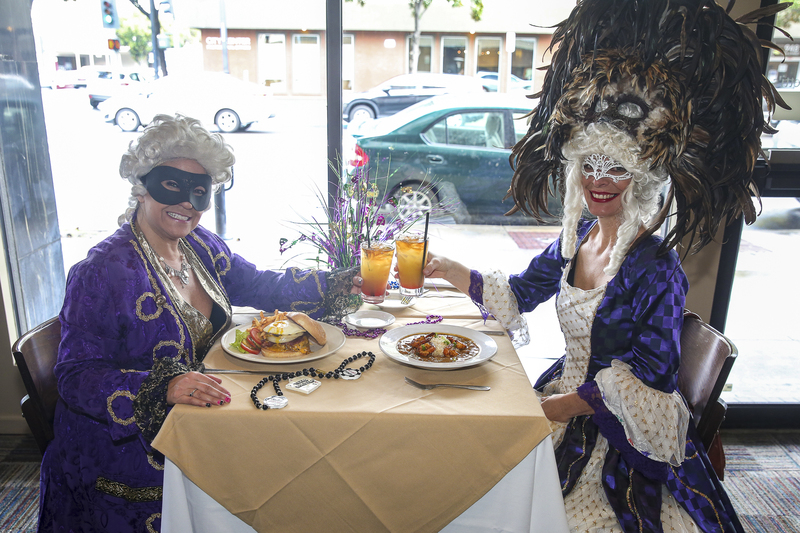 Modesto View’s own Rockabilly writer, Jen Allsup was gracious to join me in our full Mardi Gras attire generously donated by Daydreams & Nightmares (on 7th St.) for an early sampling of Tresetti’s Mardi Gras menu as well as their other menus. We started with a couple of hurricanes, lots of rum and fruit juices, it was really good! Being allergic to all seafood, Jen indulged in the gumbo with plump looking prawns, her lip licking look was a true tell how it tasty it is! I really wanted to try the gumbo as Tammy told me how she & Mitch regularly travelled to New Orleans where 23 years ago a lady named Ernestine taught Mitch how to make gumbo! It’s still the same recipe! Jordan brought me a bowl without the prawns, yes it was Dana~licious! 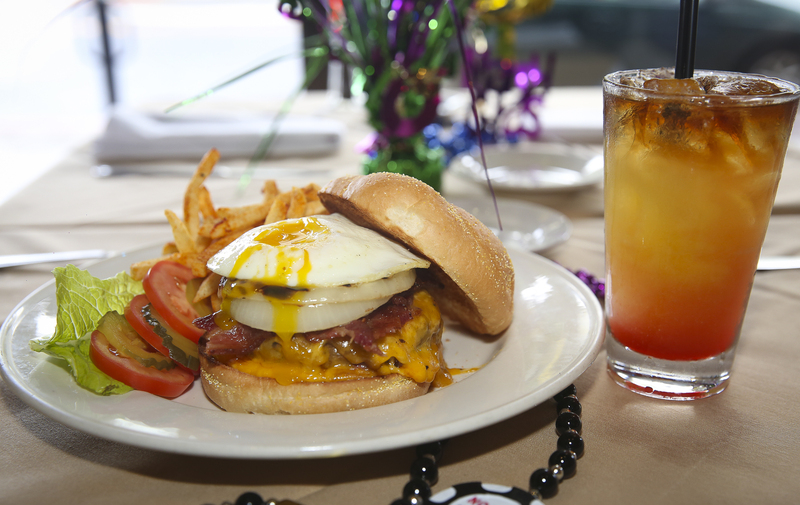 Thanks to MJ, Mo View awesome photographer, for all the great pics including the killer gourmet burger that had an egg over-medium that oozed the yolk, an eye-roll kind of taste! 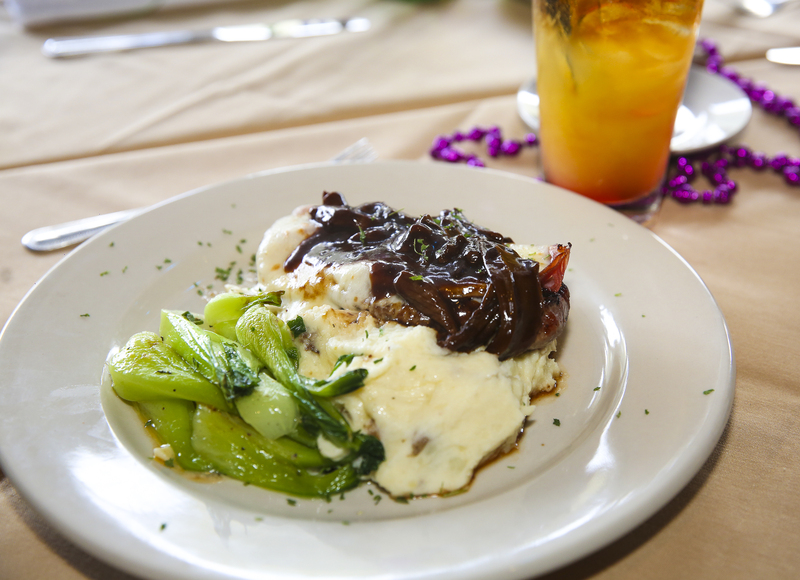 The Grilled New York Saltimbocca, excellent cut of steak with prosciutto & provolone cheese with a porcini mushroom demi glaze, again soooo Dana~licious! 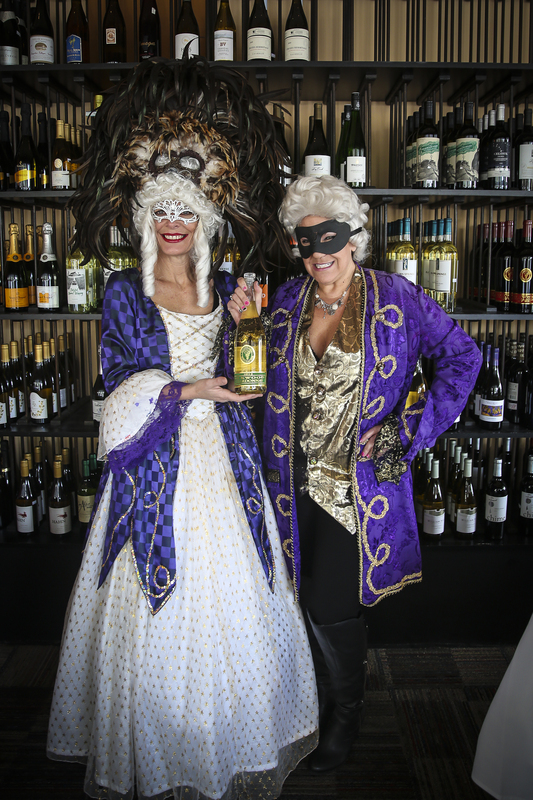 Come get your old school Mardi Gras groove on with us at this epic celebration! 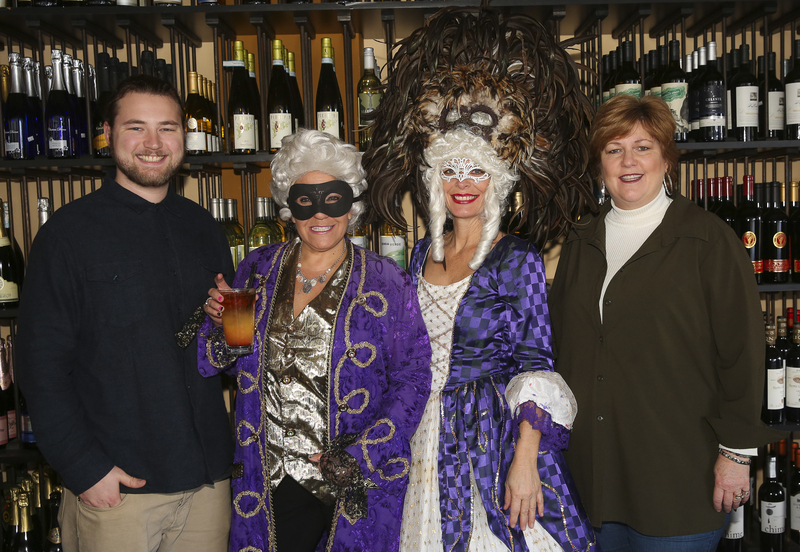 Tresetti’s will be thrilled to see you dressed up Mardi Gras style and Daydreams & Nightmares has plenty of costumes and accessories to have you looking your festive best! Modesto View Signature Question? Jordan, Beatles or Stones? Beatles. I’m like why? He lovingly said “Because my Dad liked them, it’s a family thing.” With a tear in my eye, I said, ok I get that. But just then he wanted to be clear, he doesn’t have anything against the Stones!